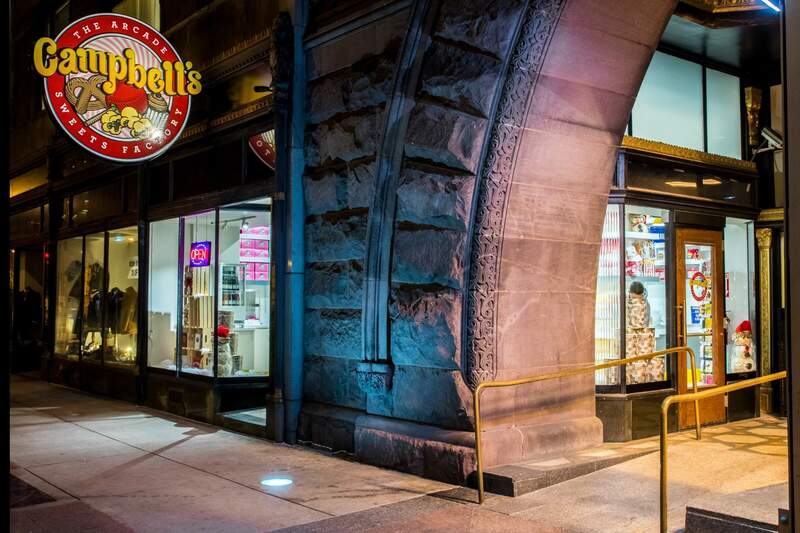 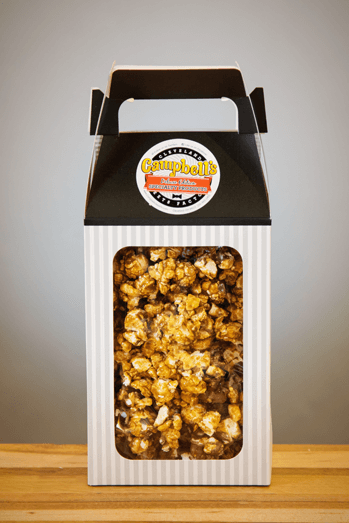 If you love chocolate and are a fan of our popular Campbell Jack’s Peanut Caramelcorn, watch out: we may have just created your new addiction! 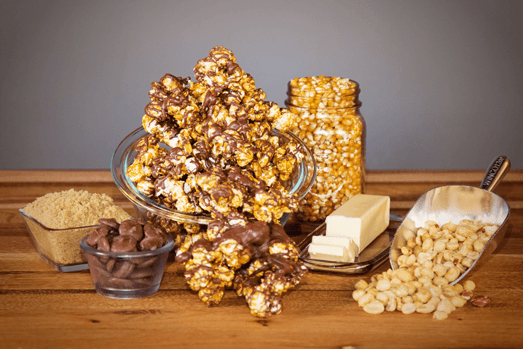 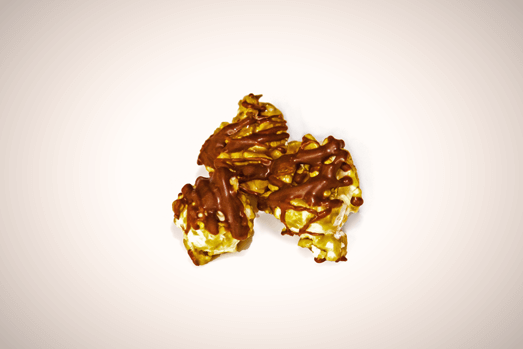 The crisp taste of our salty & sweet peanut caramel corn is now coated with the rich, smooth taste of our decadent milk chocolate. 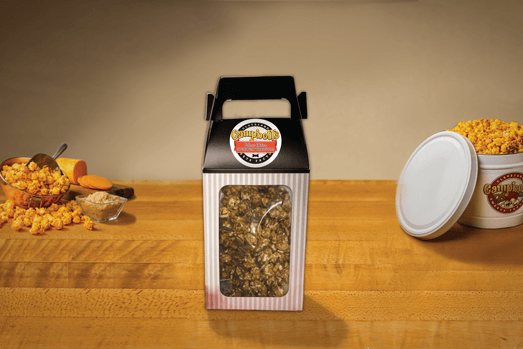 All packed up in a decorative gift box, this flavor is certainly a crowd-pleaser and perfect for your next gathering, for gifting or just for snacking! 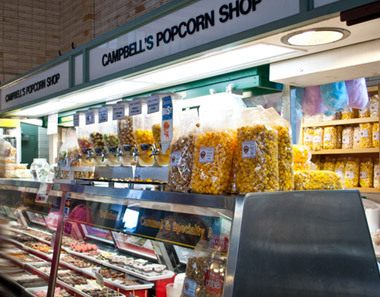 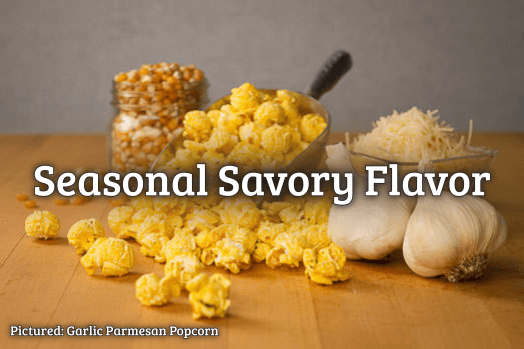 Specialty Popcorn flavors are shipped in 4.5oz to 5.5oz plastic containers to preserve freshness and maintain the quality of the premium toppings. 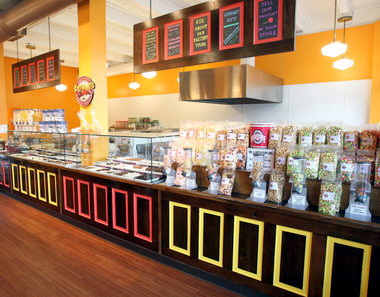 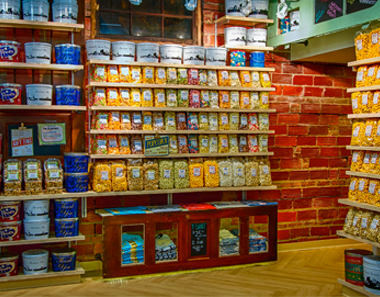 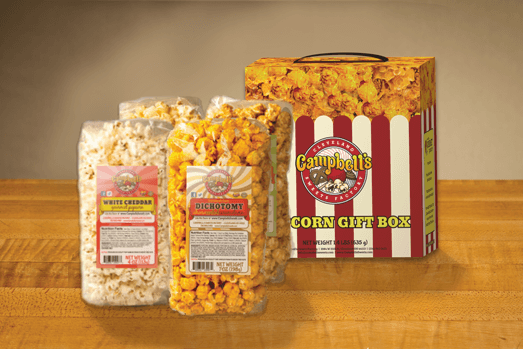 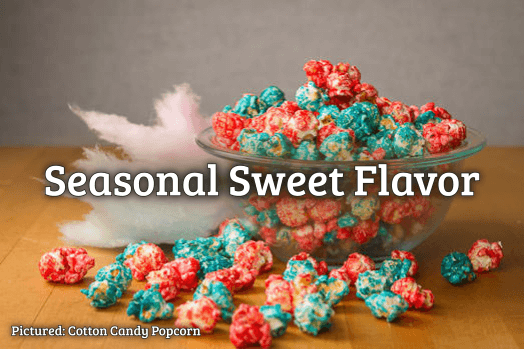 (4) Bags of our best-selling gourmet popcorn flavors in a decorative, gift-friendly striped box!